1951 Ford F1 Pickup Scroll Saw Pattern. I received a lot of feedback from yesterdays 1957 Chevy pattern. I thought I would continue a theme and do another vehicle I like. 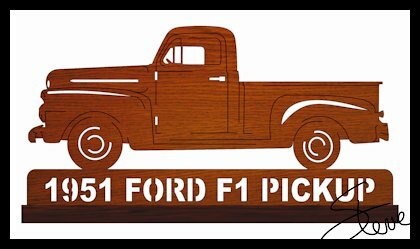 A 1951 Ford F1 Pickup. 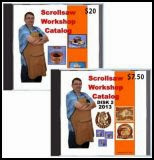 I did receive several emails asking if I had a certain make and model pattern available. Keep in mind that these patterns are designed the day I post them. I don't have any patterns held back that I have not posted. I don't mind taking requests but there are more cars and trucks than I could ever design. 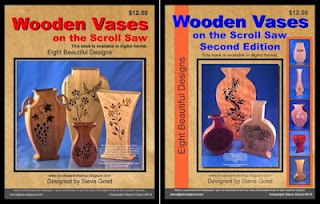 As you have probably noticed I have started including Amazon ads in my posts. I am keeping the ads at the bottom of the posts to keep them from being a nuisance to those who hate ads. I will always keep 99% of what I do here on the blog free. The ads and donations allow me to do that and still make money for my efforts. No popups and crazy "try to trick you" ads will be on my site. Today's ad is one I wanted to point out because I know it's important to many of my readers. It's a PC that is a darn good deal. 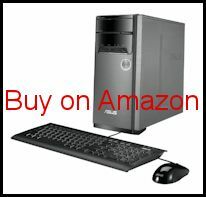 This machine will do all your standard computing at a very good price and with nice performance. I receive a lot of questions from readers, family and friends about computers and tech in general. They know I am up to my neck in technology and my knowledge is pretty good. I also know that if you do not have a computer then you cannot visit my site. Bad for me. That said this is a nice machine for the price. I have been into technology since 1975. I have purchased and built more computers than I can remember. I get a lot of questions from family and friends about PC's. Today's computers are pretty amazing but you still need to pay attention to what you buy. The PC in this Amazon ad is not a high end gaming machine but it is more than adequate for general computing and media consumption. The price is good and the reviews are also good. If you are in need of a new PC this could be a good choice. Today's price is $374.99. Subject to change.